Tá sé oiriúnach agus tábhachtach go bhfuil an t-ábhar seo á phlé againn anocht agus amárach. Ba mhaith liom aitheantas a thabhairt don Teachta Boyd Barrett ar son na hoibre a rinne sé agus a rinne an United Left Alliance chun an díospóireacht seo a chur ar bun. All of this stems from the EU-IMF memorandum of understanding which states Ireland has to generate €3 billion from the sale of State-owned assets and companies. I understand some significant reports on this matter have yet to be published and it would be wise to examine them when they are available. Perhaps the Joint Committee on Agriculture, Food and the Marine should have a role in inviting all relevant parties to an open and frank discussion at that forum. It is good that we are starting that process by airing the views of Deputies. The first question we must ask is whether the sale of the harvesting rights would make sense economically or financially, or from the perspective of our heritage and culture. We need to highlight the need to stress-test the implications of the full or partial sale of harvesting rights for the future commercial viability of the sector, including the sawmill sector. Like other Deputies, I have read Dr. Peter Bacon's report assessing the consequences of the proposed sale. I went to the Oireachtas audio-visual room today to hear some of the comments he had to make. His report makes some very logical arguments against the sell-off of harvesting rights, purely for economic reasons. He suggests this measure would cost the State money, rather than generating income for it. He provides some interesting statistics in support of his position: the loss of funds from Coillte's profit flow would cost the State €565 million; in addition, the company's deficit funding requirement is €313 million, its debt liability is €172 million, while its pension liability is €130 million. The economic cost of the job losses or the loss of the amenity value must also be considered. We know that Coillte is a significant employer in rural areas. Rural Ireland has been subjected to many other losses without the potential for increased unemployment as a consequence of the threatened loss of jobs. We also know about the economic risk to the timber processing sector. At today's briefing I listened to representatives of the Irish sawmill sector talking about the job losses it could face. The provision of logs for Irish sawmills by Coillte will be interrupted, at the very least, if the privatisation goes ahead. These well established sawmills have long-standing relationships with their customers. There have been far too many examples in this country of white collar crime, unregulated industries and cartels. There is a real concern that more small businesses will be overpowered if these rights are sold. We know that job losses lead to further costs for the State. Can we trust a private profit-driven company to maintain the country's "open forest" access policy? If that policy is not continued, it will affect culture and heritage tourism from foreign and domestic sources. We know the extent of visitor numbers. There are real concerns that public access could be severely restricted. There are international examples of where this has happened and where privatisation was reversed to encourage greater community participation. I have listened to organisations such as the Woodland League and Mountaineering Ireland that have serious concerns about public access when these decisions are commercially driven. I doubt that recreation is high on the agenda of a profit-driven company. At a time of recession, austerity and budget cuts, we should not discourage a free activity that is good for our physical, emotional and mental health. Coillte has not covered itself in glory. It has serious questions to answer about the extent of the grants it received from the European Union and the manner in which it was established in 1989. What was the exact size of the land bank gifted to it? What other assets came with it? Do we know what is beneath the trees? Has this been studied? Do we know what mineral rights we are giving away also? Why is Coillte excluded from the scope of the freedom of information regime? In what capacity did it sell land in County Mayo to Shell? It has also sold land to the National Roads Authority. This has had a serious impact on part of our cultural and historic heritage. The loans to Coillte approved by the Dáil bear no relation to the single contribution the company has made to the Exchequer. As Deputy Richard Boyd Barrett has pointed out, serious issues arise with regard to Coillte's relationship with the former Taoiseach, Bertie Ahern. As has been mentioned, the country's level of forestation is way below the European average, which means the country has massive potential in this respect. If these rights are sold, our natural environment will be undermined in a serious way. Our efforts to meet the current and future Kyoto Protocol targets for carbon emission reductions will also be hindered. Article 45.5 of the Constitution provides that "the operation of free competition shall not be allowed to develop as to result in the concentration of the ownership or control of essential commodities in a few individuals to the common detriment". I see forestry as an essential commodity that should be protected for the common good. Our forests were established using public money for social and economic purposes. An interesting Bill proposed in 1975 by the former Minister, Mr. Justin Keating, would have ensured a corporate tax rate of 50% would have applied in cases of this nature. However, it did not get anywhere. I hope we do not make the same mistakes we made with gas and oil resources in the case of our forests. Deputy Eamon Gilmore: Genuine concerns have repeatedly been raised about several aspects of this case by Deputies in the House and I have raised concerns very frankly with the British Government over the past two years, most recently when I met the Secretary of State for Northern Ireland last Monday, 11 February. The individual in question was sentenced in 1973 to two life terms and 20 years imprisonment to run concurrently on charges arising from the bombing of the Old Bailey. She was released in 1980 and has been detained since 13 May 2011 following the revocation of her life licence by the Secretary of State for Northern Ireland. I discussed the specific issue of her royal prerogative of mercy and the life licence at some length last year with the then Secretary of State for Northern Ireland. He informed me that the royal prerogative of mercy no longer exists but that the issue had been considered by the parole commissioners in Northern Ireland who are tasked with making recommendations to the Secretary of State in relation to parole in such cases. The Parole Commissioners had concluded that the royal prerogative related to the determinate sentence of 20 years and not the two life sentences. Their ruling stated that “the life sentences were not in fact remitted by the Royal Prerogative of Mercy" and that the individual "remains subject to the life licence". The Secretary of State informed me that he had revoked that licence under the powers contained in article 9(1) of the Life Sentences (Northern Ireland) Order 2001. I have received a full briefing on the assessment of an Oireachtas delegation that recently visited the individual in question. I understand the Parole Commissioners will consider the issue of her continued detention in the coming weeks. In the meantime, I assure the House that my officials will continue to monitor developments in the case very closely. I acknowledge the fact that the Tánaiste met the group that travelled to Maghaberry and I know that he has made representations to the Secretary of State, Ms Theresa Villiers, MP. However, there appears to be a large grey area. Marian Price and her late sister, Dolours, were given a royal prerogative of mercy in May 1980. Her solicitor gave her the impression that it covered all of the sentences and was not subject to licence. There now appears to be circumstantial evidence to the effect that it is subject to licence. The Northern authorities seem to be misusing this process. Article 9 of the Universal Declaration of Human Rights states: "No one shall be subjected to arbitrary arrest, detention or exile." She has been subjected, as have other prisoners who we will discuss later. Will the Tánaiste make representations to the Minister of Justice? Under Article 7 of the Life Sentences (Northern Ireland) Order 2001, the Minister has the power to release Marian Price on humanitarian and compassionate grounds. Those of us who visited last week saw a serious deterioration in her physical, mental and emotional health. There are grave fears for her. The review will take place at the beginning of March and will be conducted by the Parole Commissioners for Northern Ireland, who were appointed by the Secretary of State. Where is the fairness? Deputy Eamon Gilmore: I have discussed issues relating to this and other prisoners with the Minister of Justice, Mr. David Ford, MLA, including the conditions in which they are being held. The Deputy has described the licence process and the issues that arose in that regard. As she is aware, a court case was also involved. My understanding is that the Parole Commissioners are due to consider her case shortly. My information is that three dates have been identified for its hearing. It will be heard shortly. The intention is for the commissioners to make a decision shortly afterwards. I recently discussed the matter with the Secretary of State. I am aware that Deputy Maureen O'Sullivan and other Members have visited Ms Price where she is detained. Deputy Maureen O'Sullivan: The Parole Commissioners do not have investigative powers. They will work based on whatever they are handed, but Marian Price will have no idea what that will be. Will the review be held in public in the interests of due process, justice, fairness and transparency? I hope that it will. Can the Tánaiste ensure that it will be held in public? If it is not to be held in public, representatives of our Government should at least be allowed to attend in the interests of justice. Deputy Eamon Gilmore: Representatives of this Government are keeping a close eye on the case. My officials in Belfast are in touch with the case and report to us regularly. I have taken an ongoing interest, as the Deputy knows. We are in continual contact with the British authorities and the Department of Justice in Northern Ireland on the matter. We will maintain this level of contact. Deputy Maureen O'Sullivan: Can the Tánaiste request that one of the officials from the Northern Ireland Office attend the review? Deputy Eamon Gilmore: The Deputy can be assured that our officials will monitor the issue very closely. The experience of losing one's home must be added to those most stressful experiences in a person's life. I acknowledge the Government inherited a severe mortgage arrears crisis and that its amendment outlines the steps taken to address it, including the mortgage-to-rent scheme, the Personal Insolvency Act and the engagement by banks in mortgage advice. However, the point is that if all these measures were working, people and society would be seeing the benefits and one would be able to discern a decrease both in the number of mortgage holders in distress and in those at risk of distress. Instead however, we are seeing the severe impact of the mortgage debt crisis. At the end of 2010, statistics indicated that one in ten residential mortgages were in trouble. A few months later the figure was one in nine mortgages, then one in eight and this evening's Sinn Féin motion states the figure is one in four. Consequently, it is obvious that the measures are not sufficient. Moreover, one week ago Professor Honohan stated, "I fully agree that not enough has been achieved on the mortgage arrears". He was expressing his frustration, and that of the Central Bank, that the performance of the banks is not good enough. He spoke of the dilemma that were the Central Bank to issue a directive to the banks, it would give the latter an out and they could then absolve themselves of all responsibility. However, responsibility does lie with the individual banks which gave the mortgages. I accept the responsibility on the individuals who took out such big mortgages for their dream homes or for the purpose of starting a property portfolio. However, the banks and lenders also have a responsibility for facilitating and encouraging such borrowing by giving 100% mortgages, not insisting on deposits and sometimes giving top-ups for furniture and extensions. As for the responsibility of those in marketing, advertising and auctioneering, they all played a part in creating that property bubble with the extortionate prices being paid between 2001 and 2007. At the time, prices such as €250,000 and more were paid for houses and apartments that people knew were worth, at most, one quarter or one half of those amounts. The really unlucky ones are those who bought in the period between 2001 and 2007. They are suffering and this suffering is compounded by the additional taxes. Repossession is not the answer because that will lead to further speculation in property, another property bubble and more rogue landlords and speculators and my constituency of Dublin Central certainly has enough of those. Repossession also puts additional pressure on the local authorities and Dublin City Council, for one, does not have sufficient housing stock. In addition, there would be further fuelling of the private rented sector. I was struck by one newspaper headline today, which stated that AIB was to engage with customers in mortgage arrears. I thought this would be something that would happen quickly but when I read the article more closely, I did not get any sense of immediacy. While I acknowledge this debate is on mortgage arrears, I wish to make one further point before concluding. In listening to and reading the comments from, for example, the 24/7 Frontline Alliance, one factor to emerge regarding the cuts to people's salaries pertained to their inability to get a mortgage with consequential effects on their wish to start families. I remember attending a play written by Louise Lowe which was set in the laundry on Sean MacDermott Street. Three audience members were brought in at a time. We were brought through the various stages by the people playing the parts of the ladies. In character, one of them said, "Will you tell?". I reacted and asked, "Who will I tell?" The Magdalen report found evidence of State involvement. Regardless of the report's criticisms concerning length of stay, physical punishment, non-inclusion or recognition of certain testimonies, the report is an indictment of what went on. There was deprivation, abuse and, sadly, a loss identity for the ladies involved. There is a sad account in today's edition of The Telegraph of a woman who found her birth mother after a number of years. The birth mother had become pregnant on two occasions, yet when she found her birth mother, the lady had no recollection of that, such was the trauma of being in a laundry. Deputy James Reilly:The 2006 report of the expert group on mental health policy on the implementation of A Vision for Change is a priority for the Government. In this regard, budget 2012 and budget 2013 provided an additional €35 million each year for the continued development of our mental health services. The Health Service Executive, HSE, national service plan 2013 commits to a number of objectives including the further development of forensics and community mental health teams for adults, children, older persons and mental health intellectual disability and to the recruitment of 477 additional staff to implement these measures. The additional funding provided in 2012 and 2013 is being used primarily to further strengthen community mental health teams by ensuring, at a minimum, that at least one of each mental health professional discipline is represented on every team. The professional composition of these teams will be consistent with the posts described in A Vision for Change such as consultant psychiatrists, psychiatric nurses, clinical psychologists, social workers, occupational therapists, speech and language therapists and social care workers. To ensure the additional resources will be used to best effect, discussions are ongoing in the HSE, and in consultation with the Department of Health, to finalise the allocation of these resources. It has been agreed the allocation of staff will be subject to detailed business cases from the HSE regions for each objective. The following conditions should be met - all posts will be allocated to the community mental health teams for each objective and for no other purpose; all teams must discharge the team co-ordinator role to ensure effective working as a multidisciplinary team; all teams must implement the clinical programmes, as agreed; all teams must complete and return required key performance indicators, both existing and new; all postholders will work as part of a mental health services community mental health multidisciplinary team. Each HSE region is being asked to submit a business case against each of the identified objectives detailing how the funding is to be spent and the type and number of WTE to be recruited. It is expected that this process will be concluded by end March 2013. Until that process is completed, I am not in a position to identify the type of each post and where it is to be allocated. I am assured that the matter is being given priority within the HSE. 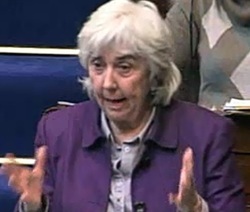 Deputy Maureen O'Sullivan: In 2012, 414 posts were promised for community mental health. It broke down as 150 to CAMHS, child and adolescent mental health services, 220 to the adult mental health community teams, 34 to suicide prevention and ten for mental health primary posts. On 31 January 2013, of that 414 just 193 had taken up positions. Will the Minister ensure that the delays that occurred in 2012 will not be replicated in 2013? I am particularly interested in CAMHS because if we can have the proper teams in place at the childhood stage, it will act as a strong measure of prevention and ensure these children do not end up in adult mental health services. Deputy James Reilly: I thank the Deputy for her question. Both myself and the Minister of State, Deputy Kathleen Lynch, have discussed this matter at length. We are both committed to ensuring these positions are filled. There were delays last year but we have been assured by the HSE that this will not happen again this year and the positions will be filled. We are concerned about having proper community mental health services to support people in the community. This forms part of a much larger picture in dealing with the modern scourge that is suicide. Deputy Maureen O'Sullivan:Mental health has been the Cinderella of the health service. Within that, the area of intellectual disability and the mental health needs of people with an intellectual disability are even further down the pecking order. There is a need to address this as there has been a lack of progress in developing the mental health of those with intellectual disabilities. Will the Minister give me an assurance that this will get a priority and that there is no further watering down of A Vision for Change? This amazing document shows what needs to be done in the area but it seems to have been just chipped away at since 2006. While I am not putting all the blame on the Minister, mental health has not got the priority it should have. Deputy James Reilly: Having worked for 20 years as a visiting general practitioner to St. Ita's, I know psychiatric treatment, intellectual disability and mental health services have been the Cinderella of the health services. We are doing everything in our health policy to address that. For example, primary care centres must have a mental health facility that will destigmatise this issue so that people will feel just as comfortable going into the centre with a mental health issue as they do with a physical health issue. All the newer hospitals have mental health facilities on their premises as opposed to the old way of separating people out. St. Ita's, for example, was put down the end of a peninsula. Originally, it was intended to put it on Lambay Island, out of sight and out of mind. All sides of the House are committed to A Vision for Change. I, along with the Government and the Taoiseach himself, are committed to it. The HSE has assured us the delays in filling the posts last year will not happen this year. We will monitor it to ensure progress is made in this regard. Bhí mé i mo shuí anseo an tseachtain seo caite ag éisteacht leis an Taoiseach agus ina dhiaidh sin leis an Aire. Bhí mé ag súil go mbeadh rud iontach ag teachta a bheadh dearfach don tír seo. I was in the House last week and wanted to share in the good news and take part in the applause. I also wanted to believe it was good news. I come to this debate without a background in or studying economics. Therefore, I look at the newspapers. Certainly, the views of the economists appear to have been favourable because the headlines suggested the deal would cut borrowing by €20 billion and ease the next budget; that it was a considerable achievement for the coalition parties; that it was a highly important political achievement; that the deal would be worth €8 billion to the State; and that austerity in the coming years would be less harsh owing to the debt deal. In fact, the bond markets reacted positively. The views expressed in the national newspapers appeared to be favourable, while the international media appeared to be of the same opinion. The New York Times stated it was another important milestone in our slow emergence from the crisis. A German newspaper saw the deal as Ireland winning the argument and suggested it was of financial and symbolic importance to it. However, there is a major "but". It is rather like closing the stable door after the horse has bolted because the horse should have been kept in the stable in the first place. By this I mean the debt, amounting to billions of euro that was put into Anglo Irish Bank and Irish Nationwide Building Society, should never have been incurred. During the debate on the Magdalen laundries last week I said the episode was a shameful event in our history. The signing of the deal in 2008 was also a shameful event, committing €35 billion to Anglo Irish Bank and Irish Nationwide Building Society, especially without agreement by the electorate. The nation began a journey on a very rocky road of paying for something it had had no hand, act or part in. There was a process of allowing individuals from various banks and organisations who are now household names to shirk responsibility for what they had done. We accept that those who commit murder, go into drug dealing or commit robberies and assault will be imprisoned and punished. However, anyone can commit an economic crime of vast proportions, with catastrophic effects on the country, and nothing will happen to such a person. Life goes on as usual. It is business as usual, or if not in Ireland, in some foreign country where profits are built up again. This leads to further inequalities, whereby the individuals responsible who appear to have lost considerable wealth continue on with remarkable levels of income and resources. On the other hand, the people are making sacrifices and, as the Minister for Public Expenditure and Reform, Deputy Brendan Howlin, pointed out this morning, losing their homes and enduring salary cuts, with the consequent effects on emotional and mental health. The original agreement was an affront to democracy. At the time there did not appear to be any confronting or standing up to the ECB but rather capitulation because we were told ATMs would be left without money and that people would have to go without their salaries. Whom were we protecting? It was not the nation but shadowy figures from European banks. Recklessness and gambling were rewarded. The intolerable burden has continued and we know of the consequent cost to the country because of the very harsh budgets introduced since. I realise the Government was under considerable pressure to secure a deal and have no doubt that the Minister for Finance, Deputy Michael Noonan, and officials put hours into the negotiations. In this context, what was achieved was considerable, given that we were told a write-down was not available because seemingly the ECB had never agreed to a write-down for any country in Europe. The Minister for Finance stated there was no point making a demand which he knew would not be met because it would amount to starting off on the wrong foot. Clearly, he does not remember the lovely phrase from the New Testament, "Ask and you shall receive". We will never know what would have happened. The speed at which events unfolded last week was disquieting and reminiscent of another momentous event that occurred recently. What has been achieved? Something has been achieved in the short term, but the problem has been shifted to the next generation. My question is whether that is appropriate or moral because the losses of Anglo Irish Bank and the Irish Nationwide Building Society are still being borne by the people and they constitute a vast burden on a small nation. We have a workforce of approximately 1.8 million people but a vast private bank debt. Where is there fair burden sharing with other eurozone members? How can we recover our economic sovereignty in these circumstances when we see hardship all around? EUROSTAT has confirmed that Ireland has paid more than any other state to rescue the banks. Some have estimated that we have paid almost 50 times more than any other country. The Nevin Economic Research Institute has suggested Ireland has paid 42% of the total EU bank debt. I realise we have a reputation for being a generous country, but this should be for humanitarian reasons, as it has been in the past, not to rescue failed bankers because of recklessness. I wanted to believe the agreement was good for Ireland and share in the elation, but the problems remaining include that the original bank guarantee placed an intolerable burden on Ireland and was based on the premise that no bank should fail, not even Anglo Irish Bank, and that regardless of the effects on a nation, no bondholder should suffer. Another problem was not asking for or discussing the need for a write-down. The line was that because the ECB was expected to say "No", the question was not even asked. A further problem is the lack of fair burden sharing. It may be the case that we have a cheaper debt now, but it is a debt we should not have had in the first place and of which no real impact analysis was made. This motion deals with the ladies of the Magdalene laundries and our priority should be to address their issues rather than allow them to become a political football. I acknowledge Deputy Calleary for tabling the motion but we did not need another Private Members' debate on the matter given that we debated it some time ago. The time for talk is over and action is now needed for the ladies concerned. There is no doubt that an apology is long overdue. An apology was given in 1999 to the survivors of the industrial schools, prior to the establishment of the inquiry and redress scheme, and a further apology issued in 2009. The Taoiseach missed a great opportunity on the release of the report to start the healing process by apologising on behalf of the State and every man and woman in this country. The laundries and industrial schools form a shameful part of our history. Most countries have histories which include shameful incidents and there is precedent elsewhere for offering apologies. It has been suggested that there are legal reasons for not apologising but what about the moral grounds for an apology? Regardless of the controversy over the report, it found that there was State involvement and forced and unpaid labour. The women worked for State agencies and abuse occurred. The UN Committee against Torture previously produced a critical report on these matters. We need to start with a meaningful apology and move on to a transparent and non-adversarial compensation process to deal with pensions, health, housing and other issues arising for the women to ensure their needs are not lost in a complicated legal process. A dedicated unit is required to be established within the Department of Justice and Equality to work with the ladies and their support groups. There is disquiet around aspects of the report, such as the lack of mention of physical abuse. The testimony submitted by survivors is not acknowledged in chapter 19. The length of stay in Magdalen laundries is not addressed and certain laundries were omitted from the inquiry. I believe the women but time is running out for them. Tá súil agam go ndeanfaimid an rud ceart, ag tosnú anois. Deputy Maureen O'Sullivan asked the Minister for Justice and Equality Alan Shatter if, in progressing the issues relating to the Magdalen laundries, he is considering an apology and a redress and restorative justice scheme and if he will establish a dedicated helpline and outreach service to provide much needed assistance for the ladies of the laundries. Deputy Alan Shatter: I announced yesterday the publication of the final report of the interdepartmental committee, independently chaired by former Senator, Dr. Martin McAleese, to establish the facts of State involvement with the Magdalen laundries. The report is extensive and detailed and, as has been stated in the House yesterday and today, runs to over 1,100 pages spanning the decades from 1922 onwards. I thank Dr. McAleese for chairing the committee. In producing such a comprehensive report, it is fair to say that he brought integrity and independence to the work which was instrumental in having the full co-operation of all the agencies involved, the religious congregations, and the women affected. I thank the many women who were able to tell their stories of what being in a Magdalen laundry meant for them, and the effects this had on their lives. I would also like to thank the religious congregations who gave their full co-operation and made their records available to the committee, and the many representative and advocacy groups who assisted the committee in every way possible. Finally, I thank the members of the committee for their work. The report tells a complex story, spanning the decades from the establishment of the State onwards. We now know that approximately 10,000 women entered Magdalen laundries since 1922, through a whole range of different routes. These included State referrals as well as placements of women by many others, including significant numbers by their own families. We now also know that just over 60% of these women spent one year or less in the laundries and 35% spend three months or less there. Much of the information in the report has never previously been made public. Among other elements, it records the stories of women entering the laundries over the decades and documents some past practices which had been long since forgotten. In this way, the report gives an extraordinary insight not only into the operation of the Magdalen laundries, but also into the social realities of past times. I hope that publication of the report will be of comfort to the women directly concerned. I appreciate that many women have lived their lives under a cloud because of the stigma that has attached to their residence in the Magdalen laundries, irrespective of the circumstances which resulted in their admission and regardless of how much time they spent there. This stigma was undeserved and its removal is long overdue. The committee's report clearly illustrates that the stigma derives from misconceptions relating to how women came to be in the laundries. The report also details that the laundries were cold and harsh places. I regret it was not until July 2011 that action was initiated on behalf of the State to undertake a comprehensive examination of the circumstances that applied in the laundries and the impact they had on many of the women who resided there. I am sorry the State did not do more and the Government recognises that the women alive today who are still affected by their time in the laundries deserve the best supports that the State can provide. The report includes a significant amount of new information and it is important that time is given for it to be reflected on and for former residents of the laundries and others to give a considered response. As the Deputy knows, it is intended there will be a debate in the Dáil on the report in two weeks' time and, pending that debate, the report will be given full consideration by members of Cabinet who received it yesterday and who were briefed on its contents by Dr. McAleese. 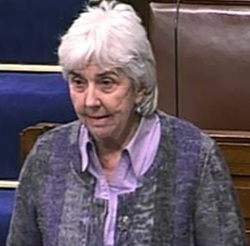 Deputy Maureen O'Sullivan: It is interesting to note the first parliamentary question about the Magdalen laundries was asked in 1938. It has taken quite a while to get from 1938 to 2013, when we now know the facts and everything that has been established. The committee hopes the report "will be a real step in bringing healing and peace of mind to all concerned, most especially the women whose lived experience of the Magdalen Laundries had a profound and enduring negative effect on their lives". On the radio this morning Felice Gaer from the UN Committee against Torture stated the State must ensure the women obtain redress and have an enforceable right to compensation. The report is complex and the best tribute to it is to start acting on what has been found. There is no doubt there was State complicity. Will the Minister offer a dedicated unit in the Department to work with Justice for Magdalenes to address these issues and look for what the ladies have been looking for, starting with an apology? Deputy Alan Shatter: I was on the radio this morning immediately after the lady from the UN Committee against Torture and I noted she told us she read the summary, which is a short chapter at the start, but she had not read the rest of the report. It would be helpful if individuals internationally, as well as everyone at home, read the report in full. I could not be oblivious to the fact that much of the comment made yesterday, because everyone in this new media age is supposed to instantly have an opinion on everything, was comment made by people who could not possibly have read the report. I know how many hours it took me to read it from start to finish. I reiterate people should read the report. I am very proud of the fact that this Government, at the initiative of myself and my good colleague the Minister of State, Deputy Kathleen Lynch, established this inquiry. I had campaigned for a long time for the full story of the Magdalen laundries to be known. Previous Governments had not been prepared to have an inquiry. We owe a genuine debt of gratitude to Dr. Martin McAleese for the extraordinary work he did. It was very important it was an independent chairman and that was no doubt about the independence of the report and its absolute integrity. This was of crucial importance. It should be fairly acknowledged that publication of the report by Dr. McAleese yesterday was a major step forward because for the first time we have a comprehensive authoritative account. Groups and individuals have campaigned, groups who resided in the laundries have been telling their stories and there have been various publications, but the report contains information which was not previously published. We now know that 26% of the residents found themselves in the homes as a result of State involvement. This means 74%, the majority of those who were resident, ended up being residents in the homes for other reasons. Tragically, some were put there by their own families. Others, because they were in difficult financial circumstances and destitute, sought to reside there themselves. Others were referred by well-meaning people who had nothing to do with the State. We also know the length of residence is not always as understood. The aspect of the story which had been told was the story of the many women who had been living in the laundries for many years, and quite clearly a number had this terrible experience. It was never really understood that 61% of the residents resided in the laundries for a year or less. In the context of State involvement on the criminal justice side, out of the 10,000 approximate residents that Dr. McAleese could identify, in excess of 600 came through the criminal justice system. Some of these were individuals placed on remand by the courts and in this context the courts had the choice of whether they spent a few days or weeks in a prison or go to a Magdalen laundry. The report shows a number of individuals were there for a matter of days or a short few weeks. The people about whom we should be genuinely concerned, in the context of the Government and my Cabinet colleagues considering how we deal with this very important matter, are the individuals who spent extended periods of time in the laundries whose lives have been blighted by this experience who felt because they were resident in the laundries that in some way it was a stigma and something they could not share or tell anyone about. These are people about whom we all have very real concerns. I know this is an issue about which Deputy O'Sullivan has had a genuine concern for some time, as I and the Minister of State, Deputy Kathleen Lynch, had and as had many people on both sides of the House. This is a first step in dealing with this issue. The Government will give very careful consideration to how we proceed in a manner that is sensitive and of assistance to those who had the terrible experience of being resident in the environment so well described by Dr. McAleese. I believe a very important contribution to the discussion will be made by Members of the House in the debate that will happen in two weeks' time. Deputy Maureen O'Sullivan: It is very difficult to accept what the Minister said with regard to this being the first comprehensive report. Perhaps it is, but on what basis then did the Minister make his comments when he was in opposition about barbaric cruelty and women being treated appallingly and irrefutable evidence of State complicity? I will now refer to the apology. In 1999, there was an apology to the survivors of industrial schools before the inquiry or the redress scheme. There was a further apology in 2009. Why is it so hard to apologise now, not just on behalf of the Government but also on behalf of the citizens of this State? We are all complicit in this. Will the Minister at least give a commitment to work with the unit in his Department? I do not know what a two-day debate will achieve. We will have more rhetoric and political footballs. It is much more important to work with the survivors and their groups to address the issues, rather than talking about it for another two days in here. Deputy Alan Shatter: I am happy the Deputy has quoted what I said because it has proved to be right. I said there was a State involvement and that people lived in barbaric conditions. The report has established that 26% of the residents were referred by the State in various modes, whether it was through the criminal justice system, or individuals who were residents in industrial schools and who were released conditionally on the basis that they would go into the Magdalen laundries for some time. Therefore, my concerns were proven to be correct. There were suggestions that individuals had not only been emotionally abused but had perhaps been physically or sexually abused. Former Senator McAleese's report establishes that there was not physical or sexual abuse, but there certainly was emotional abuse. The environment in which young women lived was not one within which any of us would wish to live. I am not happy that that is the case but my view of that has been vindicated. That is why, as a Minister, I was determined to establish an inquiry to get maximum information and in circumstances where the maximum records were available. Former Senator McAleese achieved that. He also achieved the co-operation of the religious congregations in getting crucial information. When Deputies read the report, they will see information from the congregations matched against State records. One can then identify the routes through which people found themselves in the laundries. This is not just a State issue, however, because 74% of the residents came there without the State being engaged or involved. We must consider how we can proceed further. There is a particular issue in the context of how the State deals with that matter. It is different to the industrial schools. Nearly everyone who found themselves in industrial schools were there by virtue of court proceedings, either care proceedings or criminal proceedings. Here we have 74% of people who found themselves resident in laundries in circumstances where there was not a State involvement. This is not about dancing on the head of a pin, it is about examining what needs to be done for those people today, what is fair and how one approaches it. For example, I do not think there is a Deputy in this House who would take the view that someone whom the courts remanded to a Magdalen laundry and who might have lived in a laundry for two, three or four days should be paid compensation. They would have been there briefly and may otherwise have been briefly in prison. It is difficult to talk about these things in this way because it will be portrayed as being unsympathetic. The reason we set up this committee was because of an absolute commitment by this Government, including myself personally and the Minister of State, Deputy Kathleen Lynch, that we would get the full story, following which we would have colleagues consider it and make serious decisions. In fairness to members of the Cabinet, including the Taoiseach, they would not have seen this report until yesterday. They first had a briefing from former Senator McAleese. We live in a world where everyone expects instant answers to everything. The alternative to publishing the report would have been for the Government to retain it for a number of weeks and then announce decisions on foot of it. Instead we took the view that the women had been waiting for many years to have their story vindicated. We also took the view that there should be transparency and that the moment former Senator McAleese completed it it should be published. It was published so quickly that the final chapter came to me on Monday morning. We were anxious to publish it for the women's sake, to give Members of the House a full insight into the background, and then move on to consider how we can deal in a humane, considered and careful way with the consequences of what people experienced. That is the Government's intention. A Republic of laws, of rights and responsibilities, of proper civic order, where the delinquency and arrogance of a particular version of a particular kind of 'morality' will no longer be tolerated or ignored. I want to apply that to what we are discussing tonight. I take this opportunity to acknowledge the work done by Deputies Shane Ross and Stephen Donnelly in bringing this motion before the House. I want to live in an Ireland of rights and responsibilities. My first question, therefore, is, how is it the responsibility of the Irish nation to pay €3.1 billion for Anglo Irish Bank promissory notes? Second, what right has the Government to take this on when it is obvious it is unfair? Third, is it fair that Irish people should pay for something in which they had no hand, act or part? We are repeatedly and relentlessly told that the promissory notes scheme is the only means by which Ireland can get back on its own two feet and the backbone of the State, namely, the banks, can be saved. I believe the people are the backbone of this State and they should not be sacrificed for the greed, recklessness and self interest of others. More than enough has been asked of people. Asking the same people to pay more is, in my view, arrogant. Where is there a moral obligation on the State to pay this? Surely the moral obligation is to address the needs of the people. Where is the sense of moral obligation on the part of those individuals from the various banks and organisations, who are household names, to accept responsibility for what they have done? I would like to know if they are in any sense paying for what they have done and the mess they have created. They appear to have lost considerable wealth yet exist on incredible levels of income and resources. Many other people are making sacrifices and losing so much in terms of jobs and houses. We know the effects of this on people's mental and emotional health and how all of this contributes to their sense of powerlessness. Who are these promissory notes protecting? It appears they are protecting shadowy figures from various banks in Germany, France, Holland or Britain. This is the Famine of the 21st century - there is plenty of food and wealth for some but starvation and poverty for others. I support the notion that it is time for Ireland to declare that this €3.1 billion will not be paid and that it demand a negotiated write-down of the debt, with fair sharing of the burden across the eurozone. I am sure a deal will emerge. However, it will not be enough if not as provided for in the motion. If not, it will be humiliating for Ireland. We deserve far more than a face saving exercise. It is hard to accept that payment of the promissory notes is required for our economic survival and is the only means of achieving same. They could be rejected and ripped up and we could look at other ways of paying our lawful debts, including by way of the corporate tax or financial transaction tax. There have been similar disasters when property speculators had their way and Governments could have used these two measures rather than impose austerity on the poor and lower income groups. Pursuing these notes is walking around the wealth elephants in the room towards the cents and limited resources of the poor and low and middle income people. There is a carcass of a building in Dublin central which was supposed to have been the headquarters of the new Anglo Irish Bank. Some people believe should it remain as a reminder of what can and does go wrong. It is interesting that the community which took on that bank remains. We all know what happened to Anglo Irish Bank. This submission is being made by members of the Technical Group of the 31st Dáil. Members did tour the site with the relatives and are making the following observations in the submission. There is no doubting the very considerable dereliction of the area around Moore St. It is a national disgrace that this area, the site of one of the most significant events in our history – Easter Rising, April 1916 - in fact a defining moment, has not been preserved appropriately, in a way that dignifies and acknowledges the work, the philosophies, the ideals, the heroism of the men and women who contributed to our independence and whose actions led to the foundation of the state, the Irish Republic. The 1916 Rising is an unforgettable pivotal moment which embodies the dream of an Irish Republic and led to the foundation of the state. Maureen attended Joint Committee on the Implementation of the Good Friday Agreement, where NI Prisoner Ombundsman presented. 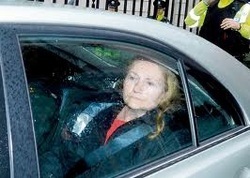 "Marian Price’s detention was raised by Maureen O’Sullivan TD (Independent) by Maureen O’Sullivan TD (Independent) . . . . .Price (59), who served seven years for her part in the 1973 Old Bailey bombings and was released in 1980, was sent back to prison in May 2011 by the then Northern secretary, Owen Paterson. . . .
. . . According to figures from the Northern Irish Prison Service, there were 1,041 cases of solitary confinement in 2011 in a prison population of about 1,800, compared with 775 in 2010, 834 in 2009 and 959 in 2008."